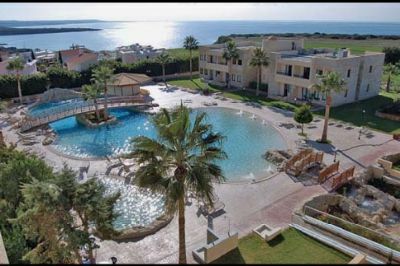 A short drive from the town of Paphos, Panareti's Royal Coral Bay Resort is a great location for a family vacation. Whether you want to explore the beauty of the Akamas, the wine region or hillside villages, or the sandy beaches of Cyprus – you will not be disappointed by this destination. Beautiful sunny weather and a variety of activities will make this a vacation you will not forget. 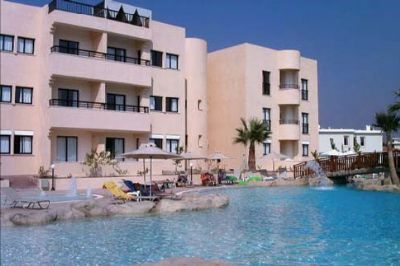 These Cyprus timeshare resales offer studio, one and two bedroom units at Panareti's Royal Coral Bay Resort. These units will sleep from two to six people comfortably and some offer views of the pool or courtyard. The patio or balcony is a great place to drink a cup of coffee in the morning and enjoy the sunrise. All timeshare units are air-conditioned and some offer a fully equipped kitchenette with utensils and cookware. Rooms also feature satellite television, a DVD player, and free Wi-Fi. 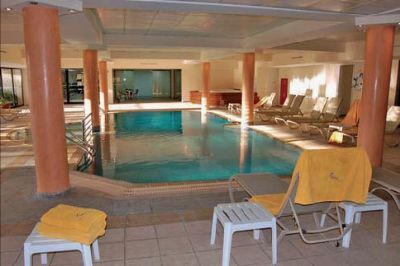 On-site amenities include an amazing outdoor pool, heated indoor pool, whirlpool, and sauna. The children will enjoy spending time on the playground and the entire family will enjoy days spent on the beach soaking in the sunshine and building sand castles. The fitness center and full-size tennis courts will help you stay in shape while on vacation and adults will enjoy the poolside bar and lounge while the children splash in the warm water. The onsite restaurant offers a variety of cuisine and you and the family can enjoy dining on the veranda terrace at the pool. 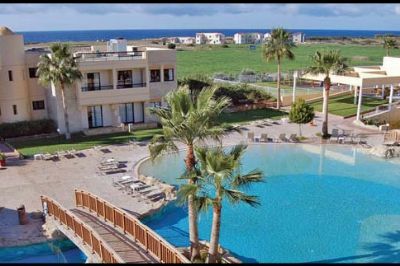 Cyprus offers activities the entire family will enjoy. You can spend a day fishing, golfing, or horseback riding while also making time to enjoy water sports like sailing, scuba diving, and waterskiing. 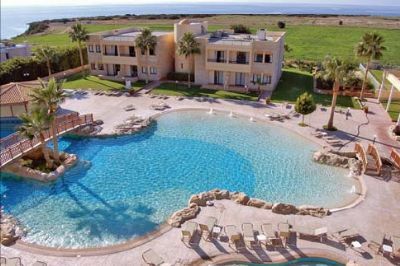 Traveling into the town of Paphos will allow you to enjoy shopping and historical sights. Several different restaurants offer authentic cuisine that will delight the entire family. 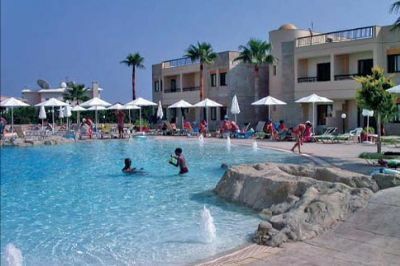 Cyprus timeshare resales can offer many different options for family friendly units at Panareti's Royal Coral Bay Resort. Start planning your next vacation today. Contact Panareti's Royal Coral Bay Resort Specialist Today!